Actually, it was way way colder than the freezing point of San Pellegrino. 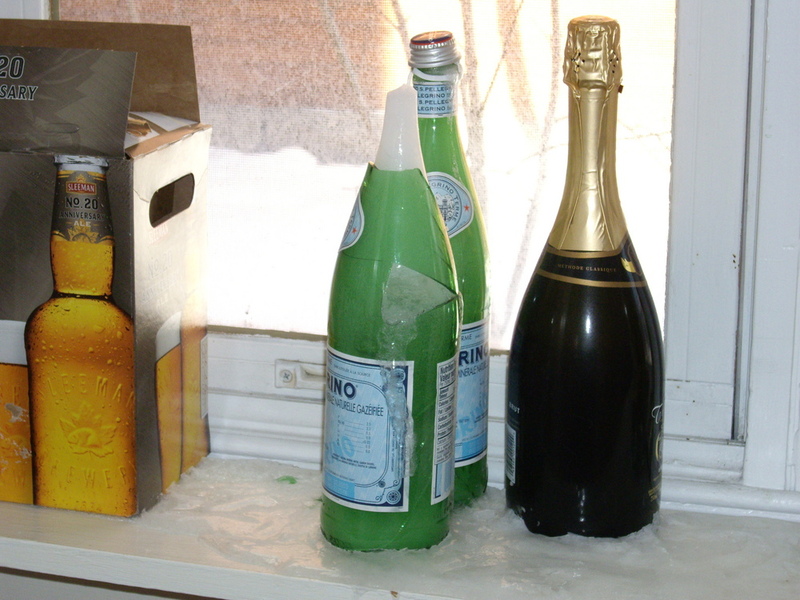 Last night the temperature in Ottawa dipped to a frigid -35C and I neglected to bring our bottled drinks in from the unheated mud room at our back door. The wine, beer and bubbly were all fine (that bubbly is waiting for the baby’s 0th birthday!) 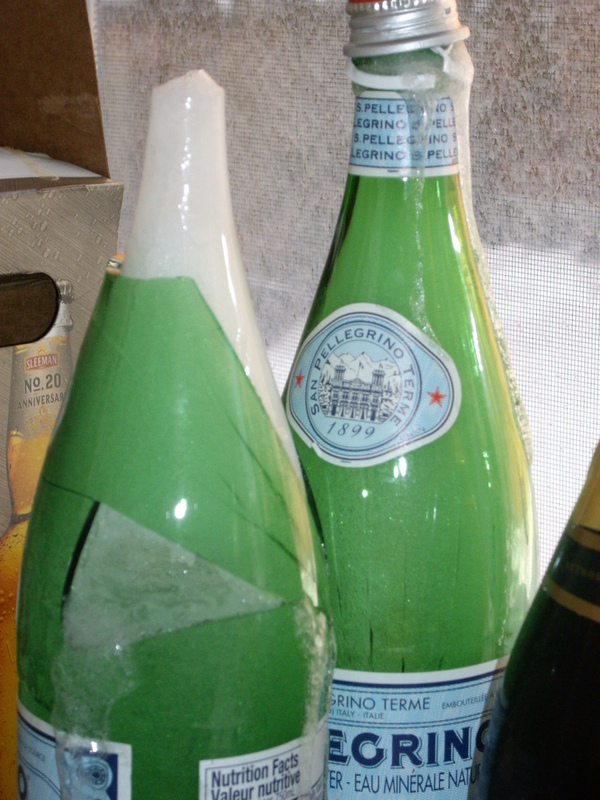 but the San Pellegrino was not so happy.